The Thirteen Colonies were the Connecticut, Massachusetts Bay, Maryland, South Carolina, New Hampshire, Virginia, New York, North Carolina, and Rhode Island and Providence Plantations. Massachusetts, Rhode Island, Connecticut and New Jersey were formed by mergers of previous colonies. All the colonies had similar political and legal systems, with a high degree of self-government. Most white men could and did vote for local and legislative officials. The colonies were all prosperous and had high growth rates based on immigration from Britain and Germany, together with ample food supplies and land for new settlers. Most families operated subsistence farms. All the colonies had legal slavery, with slave-based plantations in the South producing valuable exports such as tobacco and rice. The Northern and Middle colonies concentrated on trade. The frontier districts often confronted Indian wars, but by 1700 the colonists greatly outnumbered the Indians. The British officials in London practiced a policy of mercantilism, and believed the colonies should be operated for the benefit of the mother country, while the colonists after 1760 resisted British demands for more control especially over taxes. The colonies were religiously diverse, though overwhelmingly Protestant with the Anglican Church of England officially established in most of the South, but there were no bishops and the churches had only local roles. Education was widespread in the northern colonies, which had established colleges such as Harvard and Yale, while the College of William and Mary trained the elite in Virginia. Each of the thirteen colonies developed its own system of self-government, based largely on independent farmers who owned their own land, voted for their local and provincial government, and served on local juries. In some of the colonies, especially Virginia, the Carolinas and Georgia, there were also substantial populations of African slaves. Following a series of protests over taxes in the 1760s and 1770s, these colonies united politically and militarily in opposition to the British government and fought the American Revolutionary War, 1775–1783. 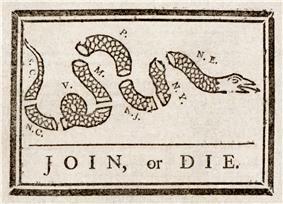 In 1776, they declared their independence, and achieved that goal with the signing of the Treaty of Paris (1783). 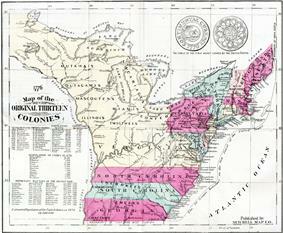 Before independence, the thirteen were among two dozen separate colonies in British America. Those in the British West Indies, Newfoundland, the Province of Quebec, Nova Scotia, Bermuda, and East and West Florida remained loyal to the crown throughout the war (although Spain reconquered Florida before the war was over). Although there was a degree of sympathy with the Patriot cause in several of them, their geographical isolation and the dominance of British naval power precluded any effective participation. Especially in the case of Quebec and Florida, the British crown had only recently acquired those lands, and many of the issues facing the Thirteen Colonies did not apply to them. ^ Smith, Daniel Scott (1972). "The Demographic History of Colonial New England". The Journal of Economic History 32 (1): 165–83. ^ Tadman, Michael (2000). "The Demographic Cost of Sugar: Debates on Slave Societies and Natural Increase in the Americas". The American Historical Review 105 (5): 1534–75. East Florida and West Florida were territories transferred to Britain during the French and Indian War from Spain by treaty. The few British colonists there needed protection from attacks by Indians and Spanish privateers. After 1775, East Florida became a major base for the British war effort in the South, especially in the invasions of Georgia and South Carolina. However, Spain seized Pensacola in West Florida in 1781, then recovered both territories in the Treaty of Paris that ended the war in 1783. 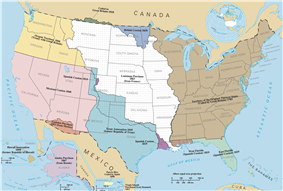 Spain ultimately transferred the Florida provinces to the United States in 1819.